Beautiful air-conditioned character house with large sea view terrace. Renovated house any comfort with 2 bedrooms and a loft, superb sea view. 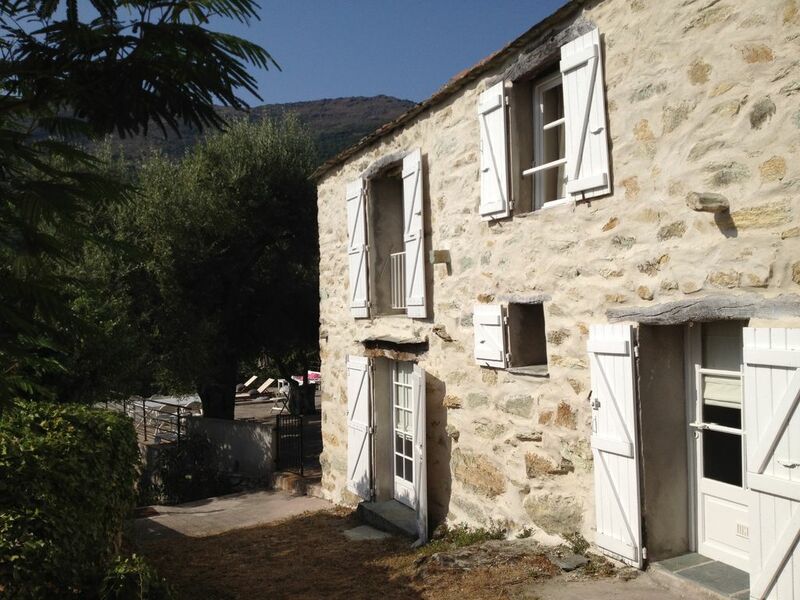 Village house, very quiet, tastefully decorated, ideally located 10 minutes from the beach and the mountains. Superb terrace with sea view. Air conditioning in the living room and bedrooms, WIFI. Pretty village of Cap Corse situated between the tourist villages of Nonza and Centuri. Warning: Due to the configuration of the house, we can not rent to families with children over 10 years. Bastia Poretta Airport, take direction of Saint-Florent and Cap Corse. If you arrive by boat to Bastia, direction Cap Corse, arrived at Santa Severa, direction Luri, Pino, BARRETTALI.